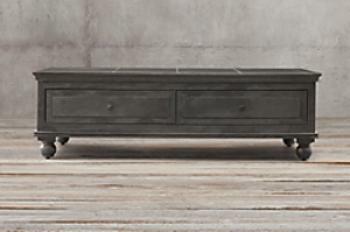 Restoration Hardware (RH) is recalling a subset of the dark zinc Annecy and LaSalle coffee tables. The metal surface under the clear top coat may contain lead, which is toxic and can cause adverse health effects. If your coffee table no longer has a green sticker, please call the number below and the company will assist you in determining whether your table is affected. Customers who purchased the recalled tables should discontinue use of it and contact RH for a full refund or a replacement item once RH has retrieved the recalled item. At your request, RH will dispatch its White Glove delivery service to pick up the recalled item at a time convenient for you, at no charge. Consumers may contact the company at (888) 728-8419 from 8 a.m. – 5 p.m. (PT) Monday through Friday, or by email at recall@rh.com.